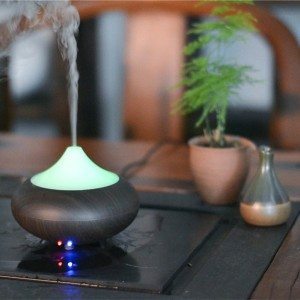 Essential oil diffusers are an excellent way to freshen the air in a room while creating a welcoming atmosphere — without the use of any artificial chemicals. Candle oil burners are commonly used in aromatherapy. A few drops of pure Essential Oil is diluted in a small bowl of water and then heated above a tea light. Aromatherapy candle burners can be made of glass, terra cotta, stone, or clay. There are a wide variety of fan diffusers available. These are powered by either batteries or electricity and they work by blowing air over a tray or pad of oil. 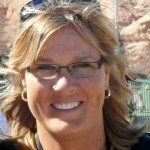 This is the most common method that professionals use to disperse Essential Oils into their home or office. Nebulizers break down the oil into separate tiny molecules without the use of heat or water — making it easier for the lungs to inhale them. 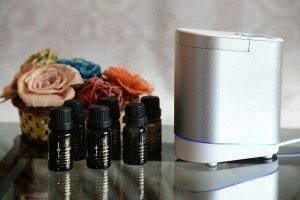 You simply attach a bottle filled with your favorite Essential Oil (or blend of oils) to a nozzle inside the nebulizer. For an inexpensive (and portable!) way to enjoy Aromatherapy oils, try clay & terra cotta discs. They use the sun’s natural energy to diffuse the scent. Add a few drops of Essential Oil to the disc and the scent will be dispersed through the porous surface to freshen the air in a room, or in the car. There’s no need for a flame, batteries, or electricity because the scent simply permeates through the porous material. Scent Balls use electricity to disperse the scent throughout a room. Simply place a drop or two of Essential Oils onto the scent pad (these can be replaced). The aroma lasts for hours. Bamboo reeds are placed into a slender neck vase that contains Essential Oils for a natural way to diffuse scent into a room. The reed sticks soak in the essence of the Essential Oil mixture. For a more intense scent, turn over some of all of the reeds to release the fragrance quicker. A diffuser lightbulb ring sets directly on top of a light bulb, and you place a drop or two of Essential Oil onto the ring itself. When the light is switched on, the scent from the Essential Oil begins to fill the room. Lightbulb diffuser rings can be made of ceramic, terra cotta, or other natural stones. An auto aromatherapy diffuser can stay plugged into the cigarette lighter inside your car at all times. It’s a dashboard accessory that never has to be unplugged. You can easily change the scent by changing the scent pad that’s inside. You can keep adding drops of Essential Oil to the same pad, or replace the pad for an entirely different scent each time.